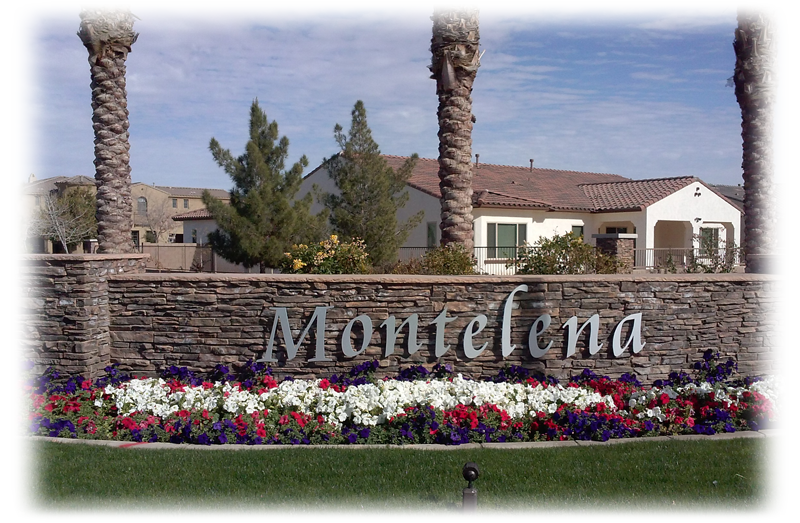 The Montelena Homeowner Association assessment is $65.50 per month. To avoid late fees, please submit your payment by the first day of each month. Don’t forget to include your lot/unit number with your payment. The assessments are used to manage and maintain the community. Some of the expenses that must be paid include, but are not limited to, water, electricity, repairs, maintenance, improvements, community management, mailings to owners, insurance and legal fees. Some money is also put into a reserve account to pay for future maintenance.. The Board of Directors may raise the assessment from time to time in order to keep up with higher expenses, depending on the needs of the Association. Any rise in assessment is governed by the community’s bylaws and also by state law, which limits any increase to no more than a 20% of the current assessment level. Not paying your assessment can be compared to not paying any other bills, such as a home mortgage, rent or credit card bill. The Board of Directors has approved a collection policy that outlines the process for the collection of delinquest assessments. If your assessment is received late (15 days) or not received at all, a late fee will be imposed on your account. If an owner continues to withhold payment, the Board of Directors can and will seek legal action and/or place a lien on the propery to recover all unpaid assessments. In addition, the owner will be responsible for all legal costs associated with recovering the assessments. It is in the best interest of the owner to contact the Board of Directors immediately if you are unable to pay your assessment. The Board of Directors is willing to work with owners in order to collect the assessment without placing an additional burden on the owner. Yes. You may pay your entire year’s assessment in advance by submitting your payment by the first of January. You may also send in the balance of your account for the remainder of the year at any time..
Back to Top I'm behind on my payments. Can I set up a payment plan? The Board of Directors wants to work with you, not against you. Collecting the assessment is important to the success of the community. If you would like to set up a payment plan and avoid further fines and potential legal action, you are strongly encouraged to contact the Community Manager. Montelena Homeowner Association is a non-profit corporation and by law, a governing body is required to oversee its business. The Board of Directors is elected by the owners, or as otherwise specified in the Bylaws, which also provides the rules by which the Board of Directors operates. Meet your Board of Directors. The Association consists of all owners within Montelena. Each and every owner is a member of the Association. Membership is not optional. The Board of Directors consists of those owners who have been elected to conduct the day-to-day business of the Association and make the decisions that affect all owners. The Arizona State Legislature passed a law effective August 12, 2005 requiring all Associations to conduct their annual elections by mail ballot (ARS 33-1812). A few months prior to the election, a letter is sent to all owners asking for resumes from those interested in being placed on the ballot. If you are interested in being placed on the ballot, simply submit your request by filling out the necessary information when it arrives in the mail. For more information, please contact the Community Manager. When and where are the Board meetings held? Board meetings will be held once elections are held and the association goes from developer-controlled to homeowner-controlled. The Board of Directors conducts the Association business at the Board meetings. Owners are given a brief period of time at either the beginning or end of each meeting to comment on the meeting agenda or other topics. The Board may or may not respond to the comments made during this time. Once the open comment period has ended, owners are invited to watch and listen to the discussion and decisions made by their Board. Generally, the Board does not interact with owners during the meeting, as this tends to take away from the limited time the Board does have to conduct its business. There are many reasons to submit an architectural request form, the biggest being for your own protection. In the future, those who serve on the Board of Directors may choose to change the design guidelines. If a guideline were to change that puts you in violation, having an approved request allows you to be ‘grandfathered’, thus preventing you from being cited for the violation. Another reason for submitting the request is to demonstrate to other owners that you are complying with the community’s architectural guidelines. If the work to be completed requires any permits or licenses from the city, county or state, it is your responsibility to research and obtain those permits and submit them along with an architectural request form. The Association, Board of Directors and management company are not responsible for researching or obtaining permits on behalf of the owner. If you have a question about an architectural request form that you intend to submit or have already submitted, please contact the Community Manager. There are several possible reasons you may not yet have received a response regarding an architectural request form you submitted. If your request was received within days after the meeting, it could take upwards of 60 days for you to receive a response. It is also possible that your request was already reviewed and the response is being processed. If you would like an update on your request, please contact the Community Manager. Generally, any change that is visible from a neighboring property, the street or a common area must be approved prior to beginning the work. It is also recommended that you check the architectural design guidelines and/or CC&R’s, which contain many of the rules and guidelines regarding improvements you can make. You should review these documents and contact the Community Manager with any questions you may have. A good rule of thumb is that if you are in doubt about a change you wish to make, you should submit an architectural request form. Federal Communications Commission (F.C.C.) regulations prevent an Association from prohibiting such communcation devices. However, the Association can create rules and regulations regarding its size and placement on a lot or parcel. It is strongly recommended that such devices be installed as close to the ground as possible and out of view from a neighboring property, a common area or the street. If your installation requires the device to be visible, it is recommended that you submit an architectural request form to confirm placement of your device. A dish larger than one (1) meter (39 inches) is not allowed. Do I need approval to build a swimming pool? If a feature of the pool (waterfall, slide, etc.) will be visible above the fence line, then you must submit an architectural request form. However, the construction of a pool may not encroach upon any common area or common wall without prior approval. Can I expand my driveway/walkway or otherwise pour concrete in my front yard? You must submit an architectural request form and get approval from the architectural committee prior to performing any work in your front yard. A diagram/picture should be supplied with the request showing layout/dimensions/measurements and other important information regarding the work to be completed. The Covenants, Conditions and Restrictions (CC&R’s) is a legally binding document, created by the developer, that outlines certain rules and regulations for the Association. The Board of Directors, with the authority given to it by the CC&R’s, establishes Community Rules and Architectural Design Guidelines that are meant to supplement the CC&R’s and assist the Board with ensuring uniform decision making. Although they have been created to coincide with the CC&R’s, they may not cover every restriction in the CC&R’s, Articles of Incorporation or Bylaws. The Community Manager sends violation letters for all violations observed during an inspection of the community or reported by another owner. The letter you received states the specific violation and the date is was reported. The Community Manager sends violation letters for all violations seen during inspection and all violations reported by other Owners. It is possible that some violations are not observed and thus no violation letter sent. Errors do occur and we apologize. If you received a violation in error, please contact the Community Manager so the situation can be discussed and corrected. May I park a boat, sports equipment, RV, trailer or similar vehicle on the street or on my driveway? Such vehicles may only be kept in a garage. Vehicles shall be parked in garage or driveways whenever such facilities are sufficient to accomodate the number of vehicles. If you see a violation of the community documents, you can report it to the Community Manager via email. When submitting the violation, please provide as much detailed information as possible such as date, time, address, license plate, make and model of a car. It is also helpful and strongly recommended that you include a digital picture of the violation. The Board of Directors contracts with a licensed and bonded landscape company to maintain all common areas within the community. Occasionally, the Board of Directors may seek bids from landscape companies to verify that the current contract is within the fair market value or to hire a new landscape company. If you have concerns or questions regarding the lanscaping or the landscape company, you are encouraged to contact the Community Manager. Who is responsible for maintaining the picnic areas? The Board of Directors is responsible for maintaining picnic areas, barbeques, tables, ramadas, etc. Any damage or vandalism should be reported immediately to the Community Manager. To arrange for waste collection or find the collection schedule check out the Queen Creek Waste Collection information page.